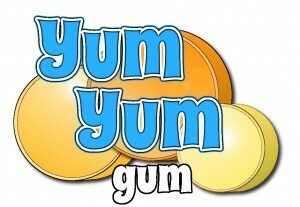 Visit the Yum Yum Gum Factory near Akron, Ohio and Try out 101 Flavors of Gum! We all have a habit of picking up a pack of chewing gum at the grocery store checkout counter. While it’s generally not the main reason for the visit, we can’t help but be tempted by the sweet, elastic candy. Unfortunately, a lot of the gum choices available at your local Hudson, Ohio or Tallmadge, Ohio supermarket are filled with calorie-heavy, cavity-contributing sugar. That’s why many shoppers opt for sugar-free gum as a way to satisfy their chewing habit while keeping their teeth healthy and strong. The only problem with the sugar-free alternative is that the flavors tend to be…well, bland. Luckily, Yum Yum Gum, a local gum manufacturer near Akron, Ohio, has come up with the perfect solution for gum lovers. With 101 flavors of gum, Yum Yum Gum allows you to savor the taste of fruits, beverages, desserts and more!